Antoinette Foster Dip. Nut. Equine Nutritional Therapist/Medical Herbalist/Nutritional Therapy Genetics/Product Formulator. 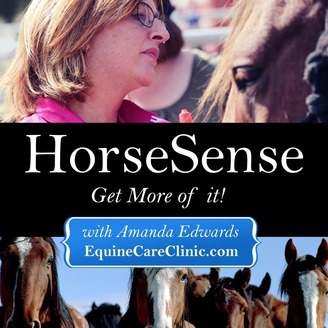 Antoinette Foster is one of Australia's most highly qualified equine nutritional therapists; she is also a qualified medical herbalist and human nutritionist and author of the successful book "Eat Like a Horse". Antoinette has been a practitioner for over 29 years and has continued her training throughout this time. She began work in 2010 with Dr Margie Smith, a molecular geneticist; and was introduced the world of genetic science and the effect on gene expression from nutrition, this knowledge has been brought into the equine side of Antoinette's business. Genetic science has advanced substantially in the last 20 years and integrating the knowledge that Antoinette has into the management of horses is extremely exciting. Antoinette's interests in genetics lead her to a new professional diploma course in Nutritional Therapy and Genetics which she completed in December 2015\. In 2017 the long awaited Equine Nutritional Therapy course will be released as Antoinette's company becomes a service provider and the course has been approved. Antoinette has always believed that every equine, just like every human are individuals and they should be treated in this way with profound respect for their health and well-being. Antoinette conducts several seminars and information nights throughout the year and her presentations are dynamic, enjoyable, and highly educational. Her aim is to provide horse owners, trainers and breeders with the tools to ensure that their horses achieve optimum health on a long-term basis. Antoinette's company is also registered for Research and Development and in 2017 clinical vet trials begin, covering Osteoarthritis, Insulin Resistance and Equine Gut Microbiome. Antoinette is a passionate horse owner and rider and plans to return to the dressage arena once again after a very long break from competition with her new young Warmblood Coffee (Friedensthal Fidertanz /Belcam Calandra). Antoinette is a member of several organisations including the IICT and Nutrition Australia and writes regularly for several publications. Towards the end of 2016 Antoinette and her company along with software developer GoalMaker Software Solutions developed a new individualized software program for horse owners, this is a unique program that allows for each horse to be accessed as an individual. The program, released in April 2017, is a free service. 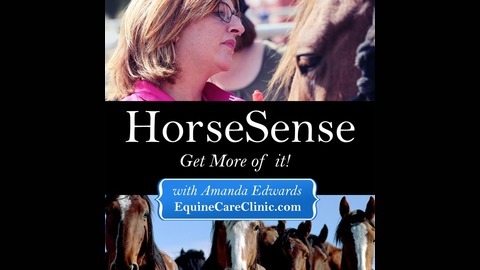 in this podcast Antoinette talks at Equitana New Zealan about the horse's gut & how to keep it healthy. The equine digestive system can be easily impaired by many common management mistakes. She talks about what improves digestive health in horses, from correct dental maintenance, to what you feed your horses, how often and even at what height that feed is located from the ground. Given the prevalence of colic, ulcers and other digestive conditions in modern horses, the key to their overall health is often contained in their gut! The equine intestinal tract contains a complex microbial population called micro biota which plays an important role in health and disease. It appears that the micro biome can be altered quite intensely in certain disease states. Laminitis for example can be a very severe disease that can be set off by an increase of dietary starch. By the time the starch reaches the hindgut it causes an enhancement of lactic acid bacteria, lactate build up and acidification of the contents of the gut. I also discuss the new science of equine microbiome gut health testing and what relevance this plays in the health and well-being of the digestive system of the horse. I found talking to Antoinette fascinating and am sure that you will love it too.